Professional Financials’ advisors are licensed and hold various designations including CFP® as detailed in their bios on this website. 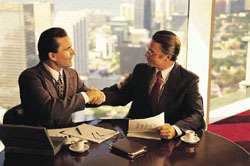 Our team is qualified and licensed to offer a variety of investments and insurance solutions to our clients. Our administrative team are licensed to support the advisors with processing and customer service. We are a registered branch office of Cadaret, Grant & Co., Member of FINRA/SIPC. Our client base consists of hundreds of clients, many with our firm for over 25 years. We are dedicated to developing lasting relationships with all our clients by looking at the holistic view of financial planning. One of the many benefits of working with us is our ability to provide clear and easily understood explanations of financial products and services. The personalized program that we can provide is a roadmap toward a more secure financial future. As an Independent financial services’ firm, we hold no allegiances to any one company of products. You are our client and your goals and objectives are placed above anything else.